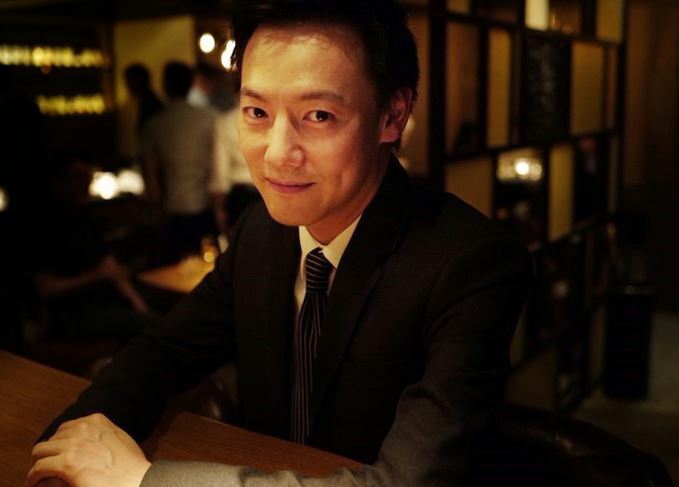 Aaron Chan’s whisky passion began with Japan, but the Hong Kong-based bar owner has developed a broader passion for single malt Scotch, including Islay trio Laphroaig, Bowmore and Caol Ila. He spoke to Angus MacRaild. What whiskies do you collect and why? ‘Simply put: anything good. As my preference towards whisky evolves over the years, so does my collection. I do not focus on specific distilleries, but collectively on good and old bottles. ‘Around 11 years ago, a friend bought me a bottle of Hibiki 21 Year Old as a gift. I did not drink whisky at that time (not counting those Chivas and soda mixes in karaoke bars, of course). ‘I didn't like the Hibiki at first as it was too strong for me, but then I needed to finish the bottle because otherwise it would permanently occupy a space in my cabinet. So I poured myself a glass from time to time with the sole objective of finishing it. Slowly, I got used to the strong abv and developed a liking for its aromas and flavors. ‘Then I bought my second bottle during my vacation in Japan, this time a Yoichi 20 Year Old. I liked its characteristics and subtle smokiness. Soon I was buying all kinds of Japanese whiskies from Japan, all for drinking. ‘The idea of collecting whisky never came to my mind until I discovered the Hanyu Ichiro's Malt Poker Card Series. I have a strong obsession with poker cards – I started playing contract bridge when I was 12 and have won tournaments in Hong Kong. So, when I saw those beautiful Hanyu bottles with poker cards on them, I decided to attempt collecting a full deck. It was an insane idea, I admit. How has being a collector impacted the rest of your life? Do today’s crazy prices change the way you view your collection? Do you see it more as an investment? ‘Sadly, yes. I still remember the days when I opened a 30-year-old Karuizawa at a very local restaurant, and treated half the bottle to a few total strangers on the next table. Those were the fun times. ‘Today it becomes more difficult to open a rare bottle, because you know you need to spend two or three times more in the future to buy back another one. ‘Luckily I still have my bar, where I can open good bottles for people who appreciate them (which includes myself). Of course, we need to maintain a margin, but at least the bottles are not stuck on a shelf for display for eternity. What is the whisky scene like in Hong Kong? How has it evolved? ‘Hong Kong started very late compared to Japan, Taiwan and Singapore. I remember when I first started drinking whiskies, there were almost no whisky bars in town. Retail shops only carried the basic regular expressions and whisky in general was considered your grandpa's beverage. Has the enthusiasm for old bottles really taken hold in Hong Kong? Or is it still a niche passion? ‘My opinion is probably biased, as I run a bar that offers old bottles and we do have customers that come solely for them. But objectively, taking the entire whisky-drinking population into consideration, I believe the love of old bottles is still a niche passion, and it will always be in Hong Kong. ‘Regular drinkers have very little access to old bottles – you won't find them at retail stores, liquor stores or bars (except mine). People haven't seen much of them, not to mention tried them. There is a lot of talk about how the character of whisky has changed over the decades. What is your take on the subject? ‘Nobody can deny the fact that whiskies produced nowadays are drastically different from those produced in the 1970s or earlier. There is already enough written about why it happened, so I won't repeat that here. Different drinkers develop different preferences on whiskies, based mostly on their experiences. Which distilleries do you think are producing the best whiskies today from a drinker’s perspective? What are the best whiskies you ever tasted? ‘The first that came to my mind was visiting legendary collector Valentino Zagatti at his home. I bought his books many years ago and was amazed by his determination and passion. His is a very kind and friendly person and finally meeting with him face-to-face has been a very memorable experience. The London whisky lover calls himself an ‘accidental accumulator’, rather than a collector.